How will my order be delivered and what will it cost? Can I get my order earlier? Is my order insured during shipment? Can you deliver to an alternative address other than billing address? We are pleased to offer free delivery worldwide. Yes, completely free! Please note these delivery items are approximate as on rare occasions some handmade items may take additional time. If your item will be delayed we will immediately email you. Don't worry, we all leave things to the last minute. If you want your order to be delivered sooner than above mentioned delivery times please contact us and we can often meet shorter urgent deadlines. To view your order status please login to your account here. Your order is completely insured in the event it gets lost during shipment, whether it is delivered to UK or outside UK. It is important that you inspect your items for any damage or tempering as soon as you have received it. Once the order has been received by you it is no longer insured by us and we recommend you to have your item insured as soon as possible. We supply a valuation certification for insurance purposes with every order. If you paid by credit or debit card and would like your purchase to be delivered to a different address than your card billing address, we will require you to submit a proof of identification after placing your order. This can be a scan of your driving license, passport or utility bill. The name and address on the scanned id will need to match your billing address. Please send this scan to sales@shiningdiamonds.co.uk. This is to safeguard our buyers from fraudulent activities. If you selected "Bank Transfer" as your payment method you don't need to submit any proof of identification. If you are not 100% satisfied we offer 30 days full money-back returns policy. This makes buying with Shining Diamonds a complete risk-free purchase. For the items to qualify for a complete refund they must be in their original state and must be sent back with all the accompanied certificates and original packaging. What is the returns policy on bespoke items? For refunds, when do I receive back my money? 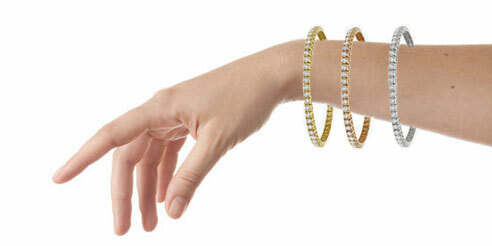 Shining Diamonds strives to offer the best customer service and top satisfaction. In the unlikely event that you are not completely satisfied with the item you purchased from us we will be happy to provide you with a full refund or exchange your item easily. Item which has been worn, damaged or tampered. Due to hygiene purposes earrings that have been tried on will not be accepted back. Item without their original certificates and original packaging. Item received back after 30 days from the date the item is delivered. Certain items come with a coded security tag which needs to be intact. Breaking this tag will void your returns right. This is applicable only if your item came with a security tag (we are internally aware of the items that are sent with / without the security tag). Resized items; either by Shining Diamonds or another jeweller. Engraved products; either by Shining Diamonds or another jeweller. Bespoke designed items. All products ready to purchase on our website, whether paid online or via phone are not considered bespoke. Please read our policy on bespoke items. 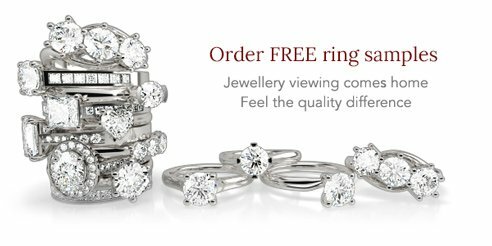 Any diamond fallen from the ring or lost will not be covered under our return policy and no replacement will be guaranteed. We strongly recommend you to get the jewellery insured to protect yourself against such mishap. Our advice to you is to inspect your item as soon as you receive it and notify Shining Diamonds if you notice any defect or damage. EMAIL US prior to posting any returns. If you are posting back for a refund or exchange please ensure you have put all the accompanying documents, certificates and original packaging as a refund or exchange will not be processed without these. Do not post back the certificates if you sending the item back for resizing or repair. Post the item back to us. We advise you to return the item using Royal Mail Special Delivery and insure the package to its full value. Please ensure you title our address only with "SD Returns" to avoid revealing the inner contents and your mail potentially being lost. IMPORTANT: After you have posted your item email us your mail tracking number. We do not open any package unless we are aware of the sender & content. It is important to send us the tracking number immediately. Our bespoke jewellery is made as unique as its wearer. However, since they are made unique it is difficult to resell them. Due to this, bespoke items are exchange-only, unless agreed prior in writing for a full refund or unless the item is faulty. This does not apply to the gemstones and diamonds that accompanied your items. 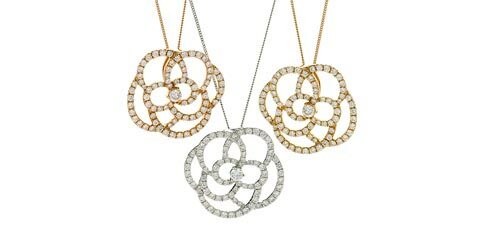 So you can exchange your bespoke jewellery for a new design by re-using the gemstones and diamonds that you originally purchased / which were set in your original item. 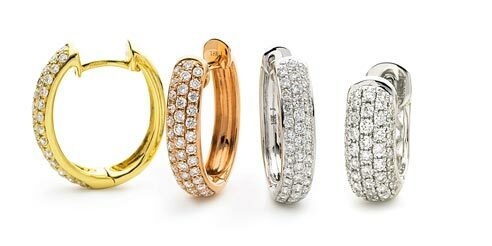 Any bespoke ring that cannot be resized (eg. full eternity designs) are excluded from the exchange policy. They are non-refundable and non-exchangeable. There may be additional charges for an exchanged item, for eg. the product is heavier in metal or new gemstones / diamonds have been used. This will be communicated and collected prior to manufacturing the exchange item. Once the item is received it will be inspected. If it has been worn, damaged, altered, resized, tampered with, or found to be mishandled in any way it will not be accepted for refund. Depending upon the how you paid for your order it can take 8-10 working days for the refund to appear in your account.